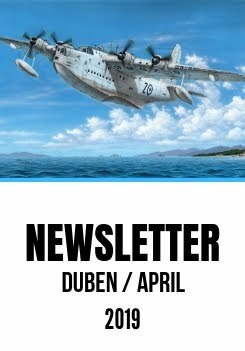 This March saw the release of Special Hobby's very first Dornier Do 27 ‘German, Spanish and Belgian Service’ kit (SH72327). 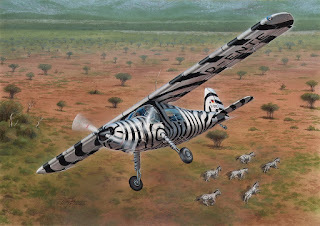 Recently, I was a bit afraid not to prepare the second reboxing much too early, but obviously, these concerns were rather pointless, the model has been very nicely executed and proved to be much liked among the modellers community. 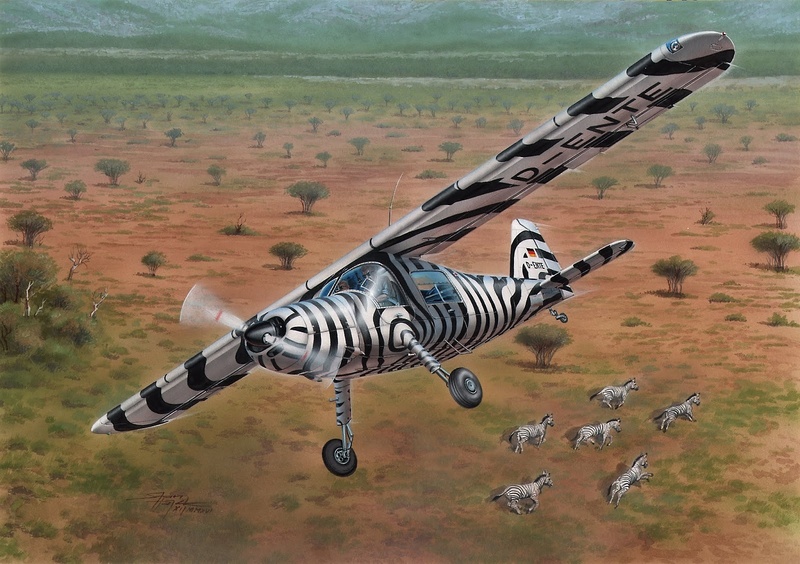 The whole first batch of this kit has just been sold out, and although we have immediately placed orders for all the missing components (kit boxes, instruction booklets etc…) it seems the model is going to be unavailable for a while now. 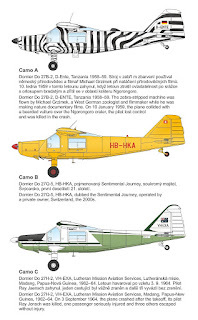 Back to the aforementioned second boxing, we hope the Dornier Do 27 ‘Civilian Service’ (SH72349) exceeds the sell numbers of the first boxing. 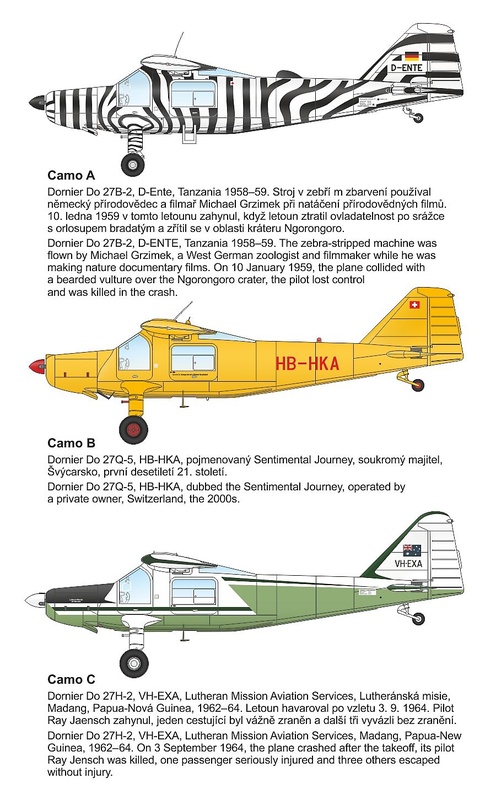 Our team are finishing the instruction booklet and decals just now, the marking options we have picked out for this boxing are revealed in the side profiles below.